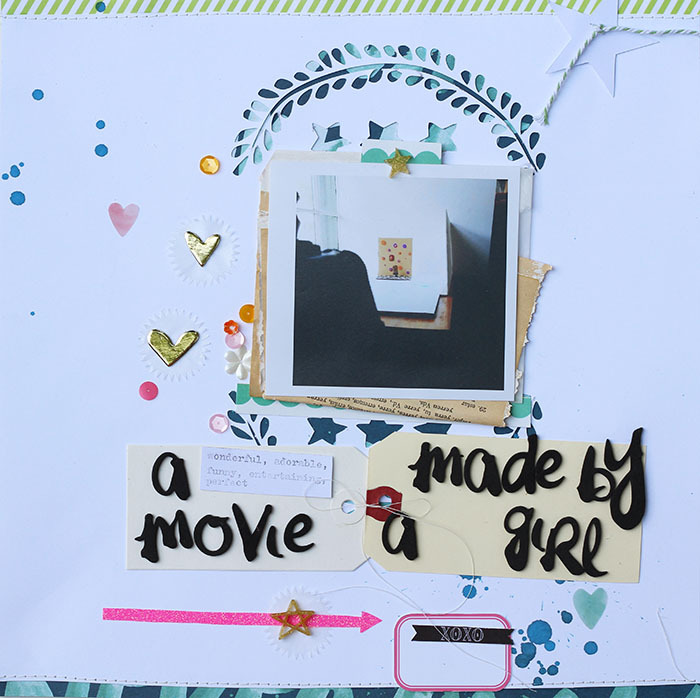 The photo on this page shows the set up we used when Addie Blue made her stop motion movie, The Very Hairy Day. She made the sets, she made the figures, she did all the motions. I pressed the button on the camera. 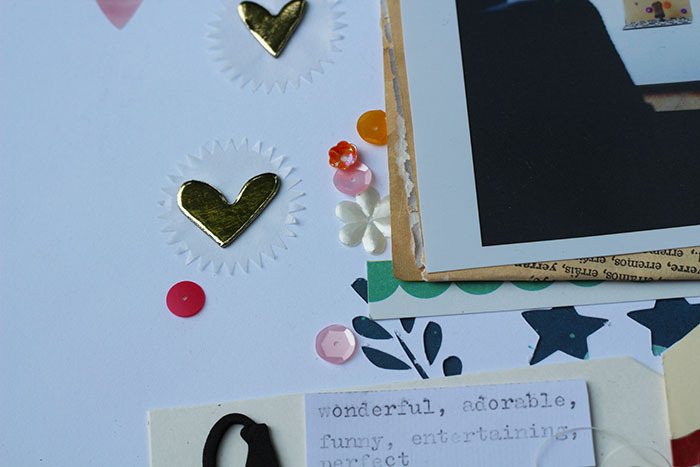 I started this page for the June Cocoa Daisy kit gallery... and it wasn't quite right so I put it to the side. I finally pushed myself to finish it up during the CD Open House crop in July. I realized after I photographed it that one of the journalling blocks fell off. Oops. I don't always glue everything down while I'm working on a page.. and then I forget that I didn't glue everything down. Loved the sequins and gold hearts! 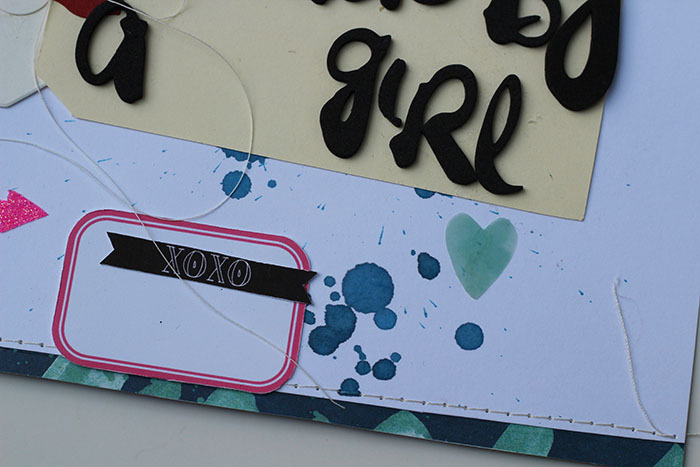 This cute little XOXO banner and the pink label are both Panda Eight printables that come with Cocoa Daisy subscriptions. They are nice to have... because they can be printed when they are needed, and reprinted when needed again! I really liked this cut file from June... 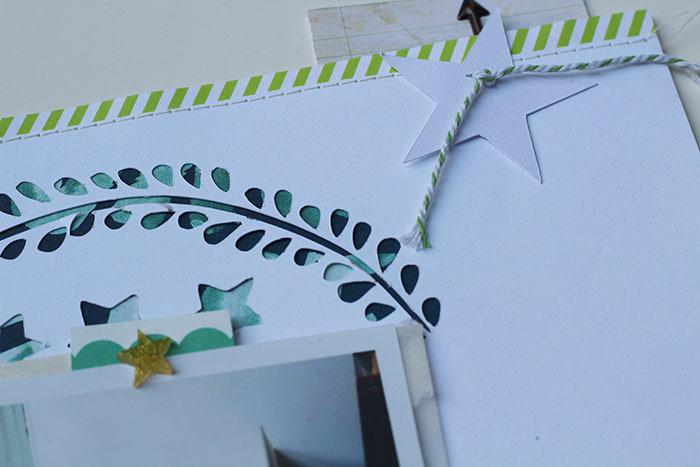 I cut it out of plain white cardstock and then used a busy brush script patterned paper behind it. I like the effect. 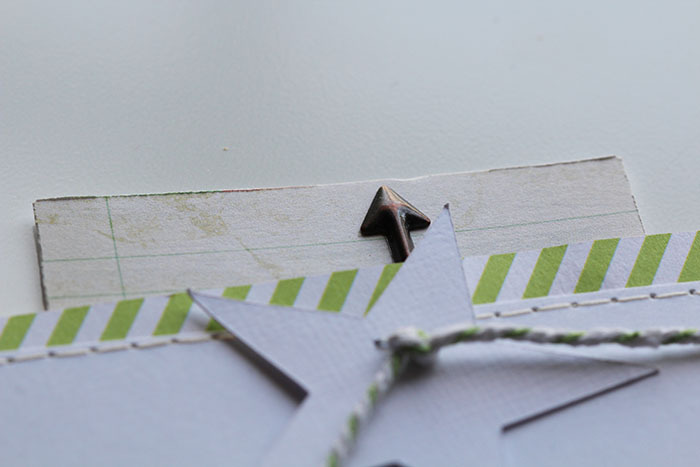 I included some journalling in a pocket behind the layout; you can see the card sticking up here a bit, with a metal arrow sticker on it. Journalling card to be pulled up for reading. 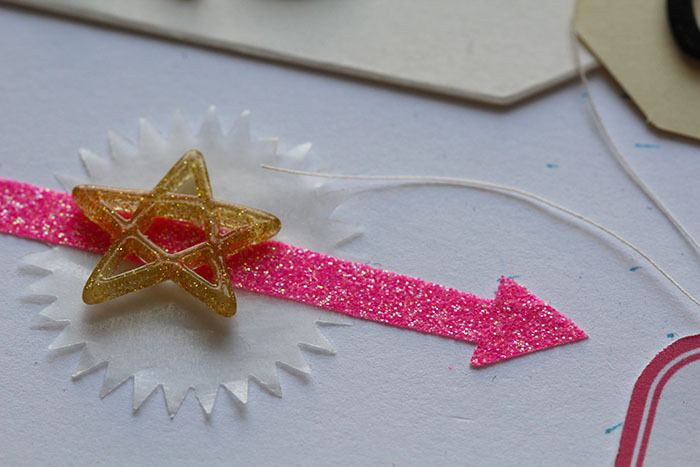 I cut an arrow out of pink glitter tape. 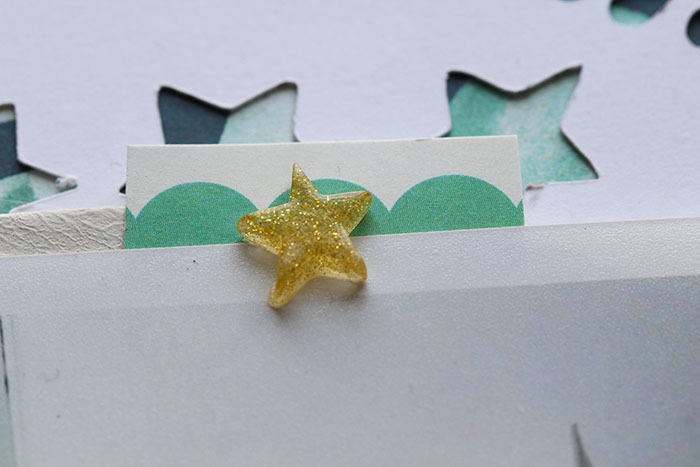 The glittery gold KI stars from the August Cocoa Daisy kit Thrift Shop was just what was needed over top! And another cute star above the photo. Aren't they great? 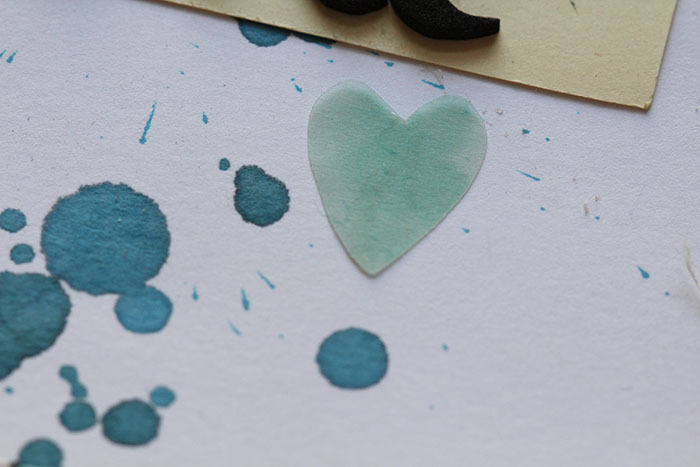 I love the way this vellum heart fit in with the ink splatters on my page. Such a beautiful way to document this memory. And LOVE the title work you did!! !